It’s time for another RPadTV poll involving an extremely serious issue: pretzels. It’s the battle of shopping mall pretzel chains! In the red corner, it’s Auntie Anne’s pretzels. In the blue corner, it’s Wetzel’s Pretzels. Which company serves up the better pretzel? Please give this profound matter some appropriately profound thought and vote in the poll below. If you have extra time, please explain your choice in the comments section. Please note that this poll involves pretzels only and does not include pretzel dogs. In that battle, it’s Auntie Anne’s all the way, since the company uses Nathan’s Famous hot dogs. Anyway, it’s Auntie Anne’s vs. Wetzel’s Pretzels poll time — fight! I’ve been using Catch Notes for several years, going back to when the app/service was called 3Banana. Sadly, the service is going bye-bye at the end of the month. Do any of you have recommendations for a note-taking app and service? I would prefer something minimalistic and need something that works across multiple platforms (Android, iOS, OS X). I’ve used Evernote before, but find it too bloated for my note-taking needs. Plus, I’ve read that the latest version of the OS X app is a resource hog and a spam machine. I looked at Google Keep, but that’s at the other end of the spectrum — too barebones in its current state. Catch Notes has an ideal combination of being very lightweight and having just enough features. You guys and gals would rule if you could help me find a replacement (note: you rule anyway). Kindly leave your note-taking app recommendations in the comments section! Hey guys! Here are a bunch of pictures from my trip. Things are pretty hectic, but also fun. The work part of my trip was great and relaxing. The family part of my trip has hit some unexpected snags, but it’s super nice to see everyone. Here are some random thoughts. – So my parents’ condo is in Bonifacio Global City. It’s a really modern town that’s full of new buildings. It also looks like America vomited on the place. If you take a 15-minute walk you’ll find Starbucks, Coffee Bean, KFC, McDonalds, Johnny Rockets, 7-Eleven, IHOP, TGI Friday’s, Krispy Kreme, and more. That’s not even counting the numerous retail stores that feature American brands. It’s like the Filipino version of the Irvine Spectrum. – Yesterday I walked around for around seven hours. I wanted to see what was around, but I was also really tired of being in airplanes and cars. Half a kilometer from where I’m staying, things get much poorer. It was fun walking around a barrio-style neighborhood in Makati and watching the local kids play. With videogame consoles, portable electronics, and the Internet, you don’t see as many kids playing as you used to. The kids in this neighborhood had so little — many of them were playing with simple toys made from string and rocks — but they seemed so happy. One of my favorite things about traveling to third-world countries is getting some perspective. – On another trip to another part of Manila, my brother and I watched three kids playing with a slab of concrete and a hammer. It was charming and innocent and sad all at the same time. – For my stay in BGC, my parents rented the condo unit next to theirs. It’s owned by a very religious person. How do I know this? It’s because there are 87 pictures and/or statues of Jesus in the unit. I’m not really religious in a traditional sense, but I don’t look down on people that are religious. However, the numerous Christs in the apartment are scary. – It looks like my cousin is going to take out one of my molars tomorrow. Yes, he’s a dentist. This was totally unplanned, but he took a quick look at my teeth and was concerned about the impacting going on. I totally appreciate that he’ll be doing this for me, but it’s totally going to throw a wrench in the filming that I had planned. – So the night I flew from Cebu to Manila last week, my Dad checked into the hospital. Days before I went to visit my Dad in Hawaii last December, he checked into the hospital. I’m thinking of not visiting him for a while. It looks like I’m a danger to his health. Of course I know he didn’t plan on getting sick, but the a-hole in me can’t help but think that this has added a lot of stress to my last two attempts at relaxation. The non a-hole parts of me feel guilty for having those thoughts. There’s also a part of me that’s somewhat proud that I can be honest about my feelings…and also a part of me that’s unsure that I should be posting any thoughts on the matter. There seem to be a lot of parts of me. Schizophrenia? – I’ve been posting my photos on Instagram, so feel free to follow me if you want them in real-time. I’ll post another batch of photos and more random thoughts soon. I miss you guys! While sorting through all my junk that’s still at my parents’ house, I unearthed all sorts of videogame-related treasures. Here are a trio of caps that cracked me up. The first is a media hat from E3 1998. This was the last Atlanta E3 and I’m happy the show is no longer held there (fine city, but bad for a trade show). 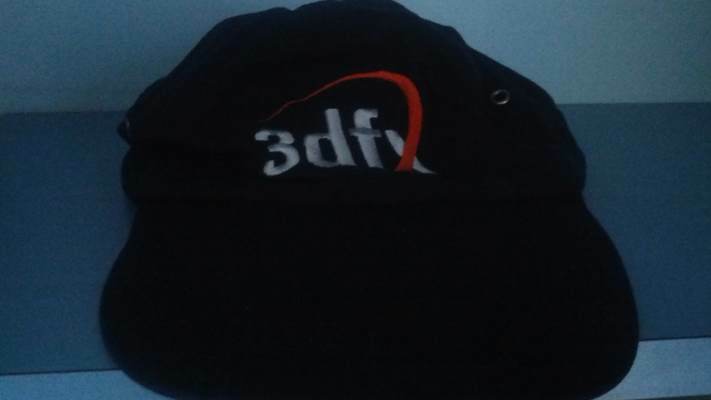 Next up is a 3dfx hat. Remember those guys?!? The company used to be one of the top names in PC graphics before crashing hard. I fondly remember slapping together an SLI setup with two Voodoo 2 graphics cards. 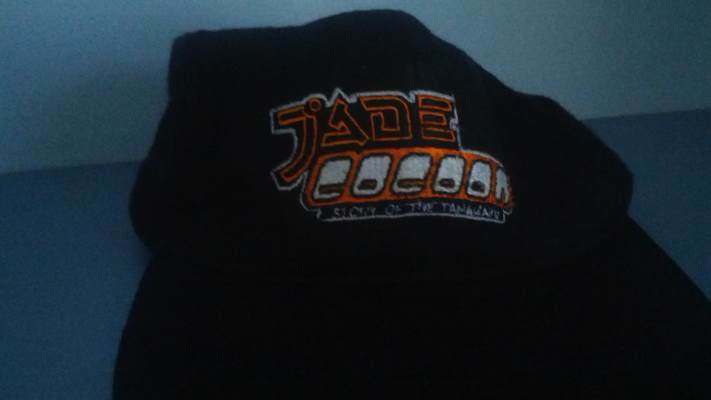 Last, is a Jade Cocoon hat. This RPG was developed by Genki and published by Crave in America. It had a Pokemon-like aspect to it, which made it a bit different from other PlayStation RPGs. Any of you happen to have old videogame hats around the house? Here’s a video of Edward “Eddie” Reinhardt splitting his pants at Reggie Padilla’s wedding. The entire purpose of this post is to help people find this video when they search for Eddie Reinhardt on Google. The power of SEO compels you. Today’s Poll: Padawan Braid or No Padawan Braid? It’s time for a haircut. 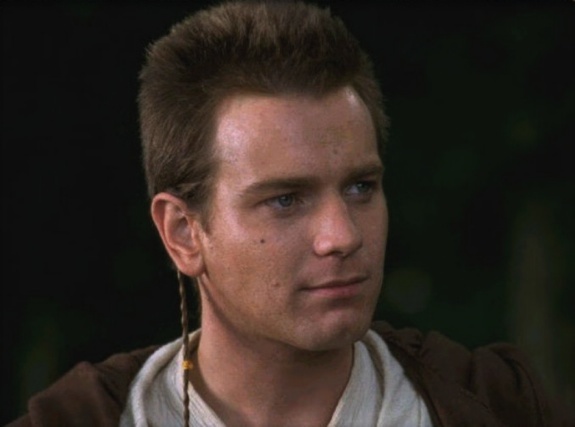 I’m super tempted to get a padawan braid, simply because it would be silly. Should I do it? That’s where you come in! To paraphrase Captain Planet, “The power (over my hair) is yours!! !” Please vote in today’s poll. If you have extra time, make a case for or against a padawan braid in the comments section. Author RPadTVPosted on June 27, 2012 June 27, 2012 Categories Random RantsTags Random Rants6 Comments on Today’s Poll: Padawan Braid or No Padawan Braid? Please let my experience be a warning for all of you. Never buy Salt Fresh Multi-Vitamin Colgate. This is probably the best advice I’ve given in years. Welcome to Coffee Talk! Let’s start off the day by discussing whatever is on your (nerd chic) mind. Every morning I’ll kick off a discussion and I’m counting on you to participate in it. If you’re not feelin’ my topic, feel free to start a chat with your fellow readers and see where it takes you. Whether you’re talking about videogames, seeing friends in Asia for (possibly) the last time, whether meeting your ex at a club you frequented together is a good idea, or the brilliance of Singaporean food stalls, Coffee Talk is the place to do it. I’m a JetBlue flight attendant and I do the safety announcements on the flights. Michael Pachter was on one of my flights and he pulled me over and said, “You’re wasting your life on this airplane.” He invited me to this party and said he’d introduce me to some people to help me get into voice acting for games. Now picture the above said by a god. I’m not talking about God god, but I’m not talking about crap gods either (Jeff god of biscuits, Simon god of hairdos, etc.). This man, Clint, spoke like a top-tier god. I’m talking Zeus, Odin, and cats like that. His voice was amazing. What was more amazing (to me, anyway), was that Pachter took the time to chat with this fellow, invite him to a party attended by some gaming industry VIPs, and personally take him around to make connections (I saw him do this). Pachter is a pretty big deal in videogames and flight attendants…are not exactly adored. I thought it was cool, awesome, and touching that Pachter did so much for this random flight attendant. In New York and (especially) Los Angeles, I’ve heard so many people say that they’re going to hook people up or help people out. Most of the time it’s just hot air. Seeing what Michael did for Clint was refreshing. It made me feel better about people. The big guy was actually helping out the little guy! And I believe the intentions were pure and simple too. The tale of Michael Pachter and the JetBlue guy is a beautiful story and my favorite from E3 2012.